Multi-port USB chargers are my favorite new gadget accessory. I have a couple five port chargers in my house right now, and they have become my new go-to birthday / wedding / housewarming / bachelorette party gift as they are pretty cheap and universally well received. 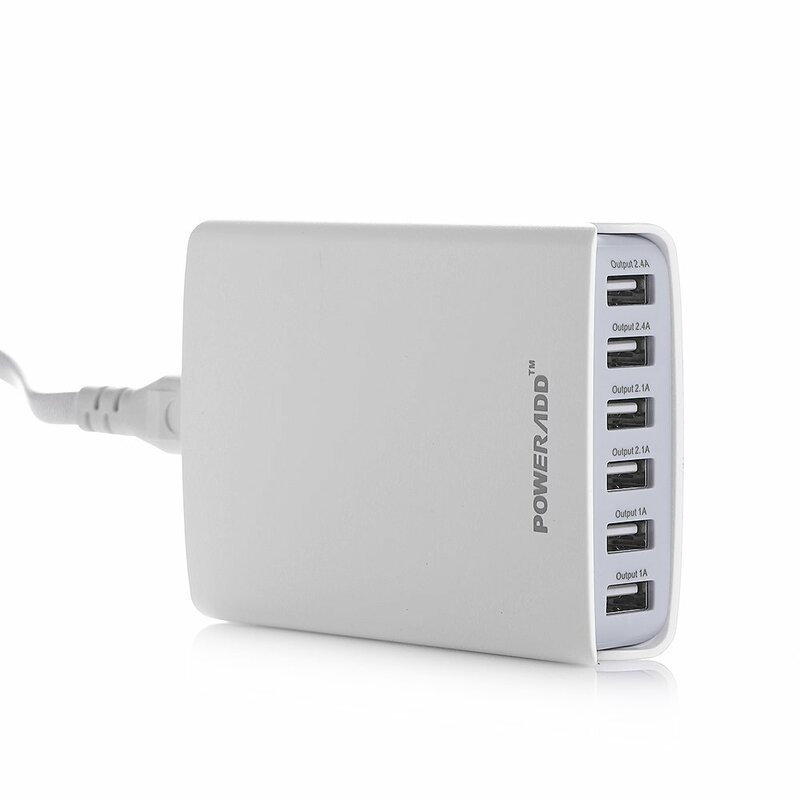 The last one I bought a couple months back cost about $25 dollars, but today on Amazon you can pick up the Poweradd 50W 6 port USB charger for just $15.99 after entering a coupon code ($4 off the normal price). There's only so much you can plug into a wall socket at one time. It's pretty easy math: each one can hold one plug, though there are ways to twist this math to your favor. You could always get a surge protector, but if you're looking to provide power to things that all rely on USB, you might want something that takes up less space. 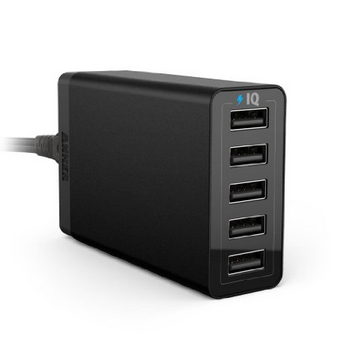 With a Vority 6-port charger, you can provide power to up to six devices from a single power outlet. Gadget lovers tend to accrue all kinds of electronic detritus on their desks, night tables, coffee tables, and any other flat surface where you can put down a tablet. And for keeping that detritus charged, there's nothing more convenient than a USB outlet adapter... except an adaptor with more than one USB port. 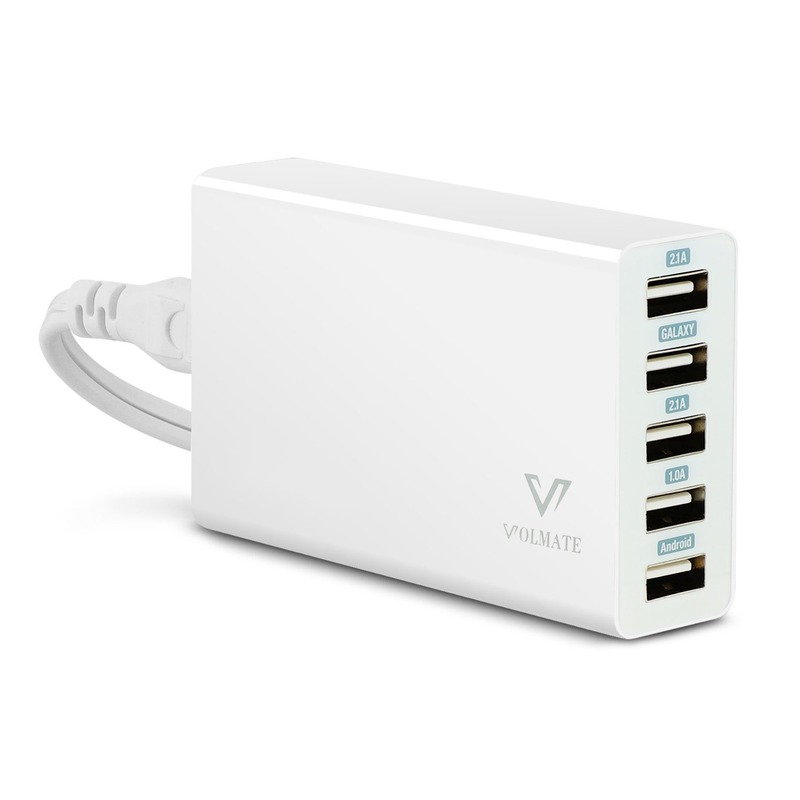 If you find yourself short of places to plug in, Amazon is offering a Volmate 5-port charger for just $12.49 after a coupon. If you want to charge all the things in one spot, you're probably going to need more USB ports. 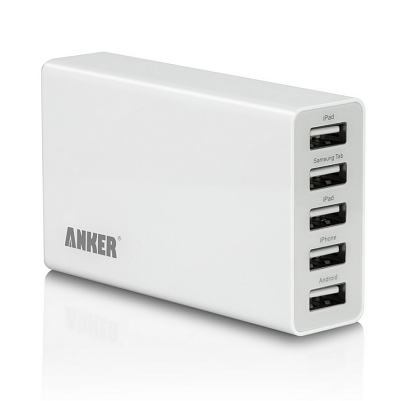 Today we've come across an Anker 40W USB charging station rocking five of them. We previously pointed one of these out back at the beginning of this year, and this model is just like that one, only better. Rather than 25W, we're looking at 40. Since this model spits out more juice, the price is slightly higher. Like most technology blogs, Android Police is decentralized. Our writers and editors work out of their homes, and occasionally in hotels, bars, or under bridges. We have no traditional office. 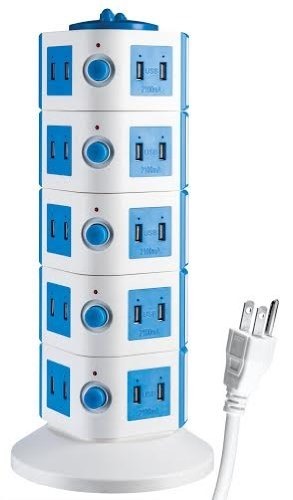 But if we did, the Yubi 40-port USB Power Tower would sit proud in the middle, like some kind of plastic altar to electricity. We would come, bow down to the Tower, offer up our unworthy phones and tablets, and humbly take our blessings of sweet, sweet gadget juice. Update: The coupon code has already expired. Sometimes that's just the way the cookie crumbles. Update 1/27/14 12:17pm PT: New code Y8WGAYUM (via SD) should work today for the same $4 off. Another device, another charger. That's the way the story goes. I personally leave a USB charger hanging from at least one outlet near every resting place in my apartment, but if you happen to need all of your devices in roughly the same place, my system won't exactly meet your needs.